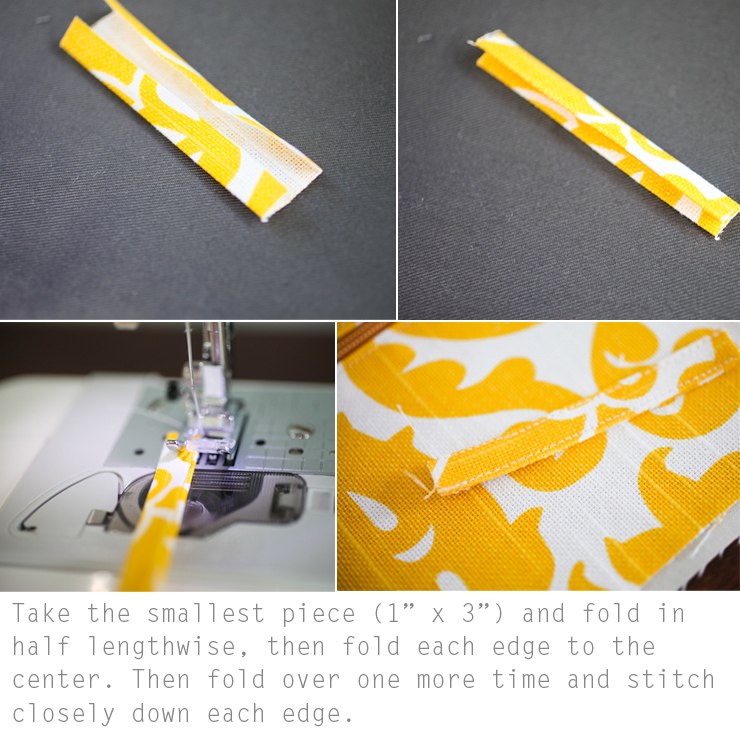 I thought it was time for another sewing tutorial! 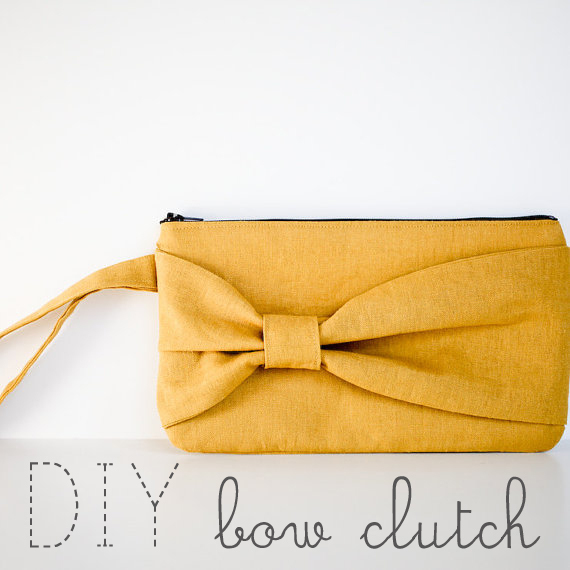 If you've tried the Bow Clutch Tutorial, this one has several similar steps (and is a bit simpler) so you'll feel like a pro. 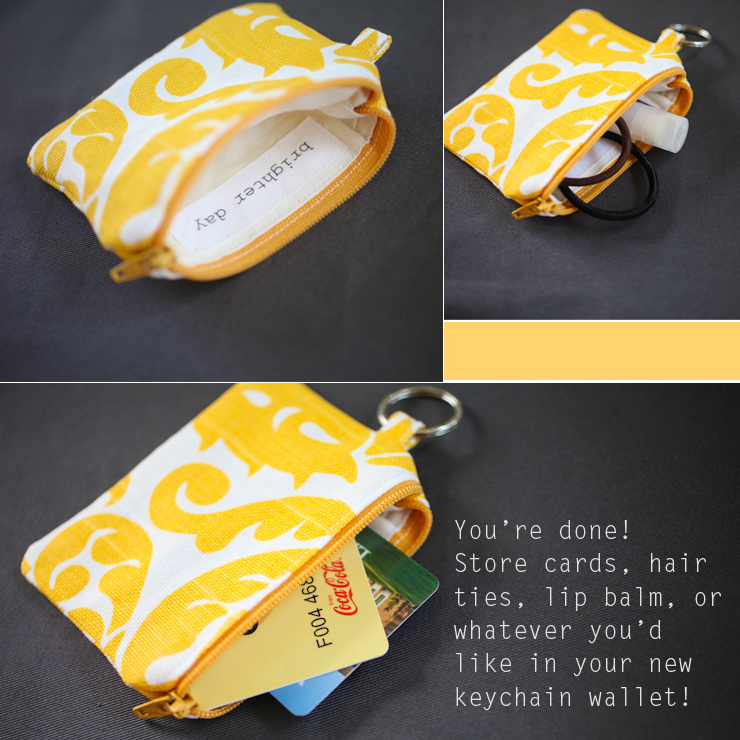 :) This little keychain wallet was one of the first things I made once I figured out how to make my own patterns, and I've used one on my keychain for months. I love how convenient it is to stash a lip balm, some hair ties, or even a couple cards if you're just running a quick errand. 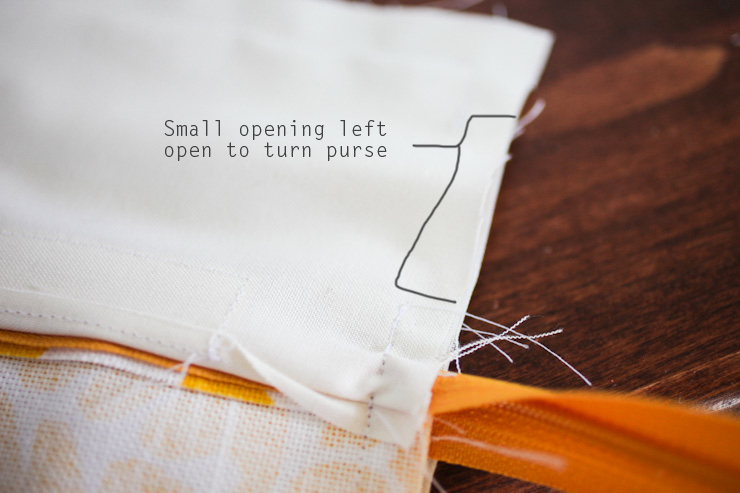 I created this tutorial for beginners... even if you've never sewn a zipper! 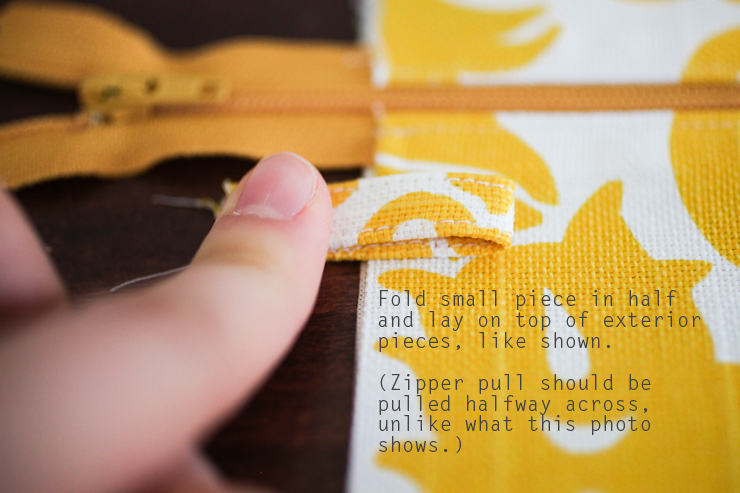 This technique allows you to put the zipper in without a zipper foot, which I think is a much easier way to do it. 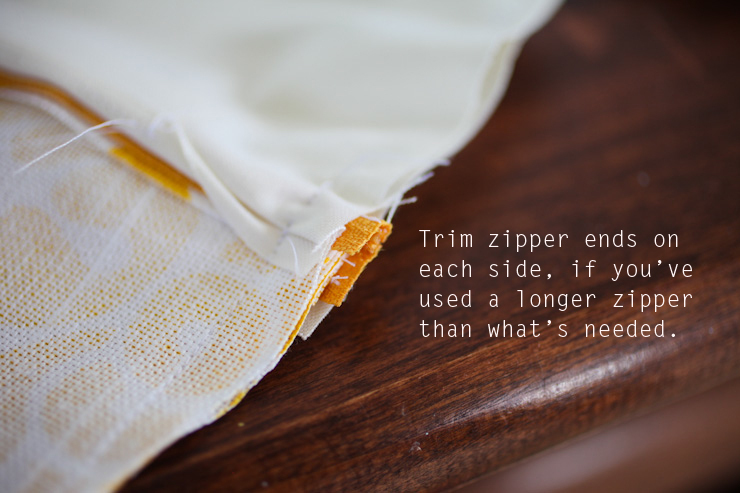 Also, I used a zipper that's much longer than what's needed, and I cut it to size near the end of the tutorial. 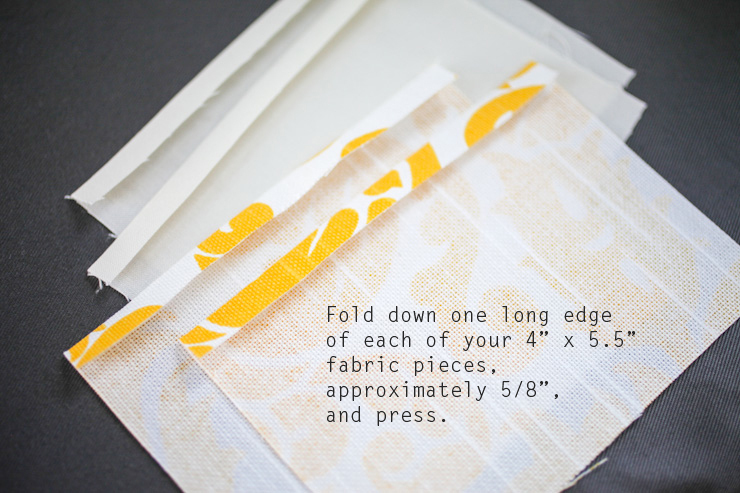 It's what I had on hand, and if you use a zipper that's at least 6" long, you'll be good to go. Attach the keyring and that's it! I hope you enjoyed the tutorial! 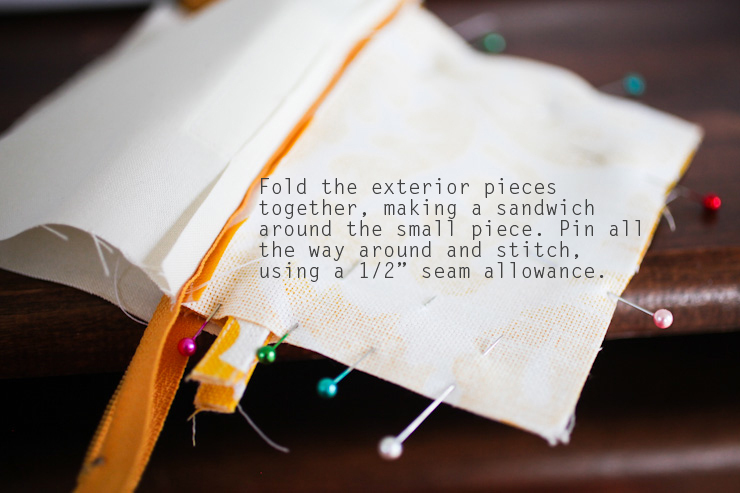 If you make one of your own, I'd love to feature it on the blog. 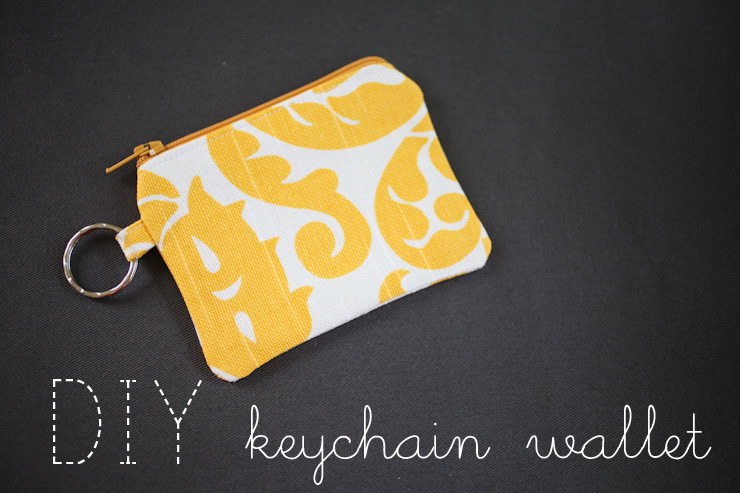 If you'll email me (whitneynewby@gmail.com) with a photo of your keychain wallet, I'll post some photos from readers in the next few weeks. Please let me know if you have any questions or any steps that need clarifying! Thank you SO much for sharing this tutorial! 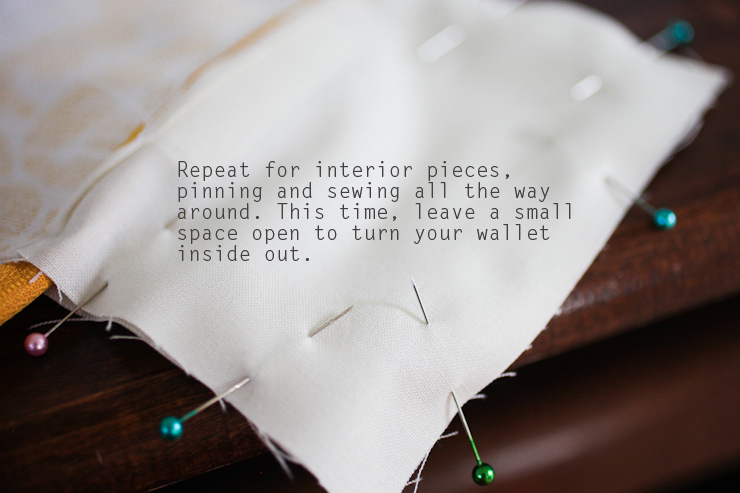 I have been trying to learn how to make a zippered pouch for so long and you made it so easy. Your directions were great and I have made two already. Thanks Whitney! Thanks for the detailed steps! I'm finally making clean zipper installations! I think I'm ready to start my own patterns too - you've really inspired me, thank you so much! I think this is your best tutorial yet! Thanks for sharing and posting so many photos! I see that Qdoba card there! We eat there a lot with Lucy's wheat (and dairy and nut and...) allergy! 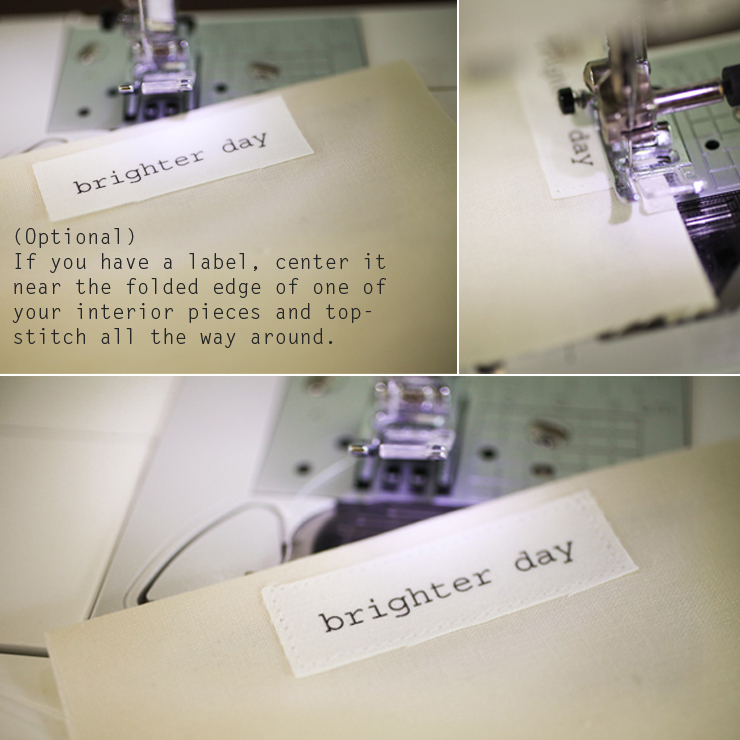 I was wondering how you made you labels. Did you use a website or do you print your own? I would love to make some or have some for my own craft projects. Thank you for the tutorial! I saw something like this at the store recently, and I really wanted to make my own. 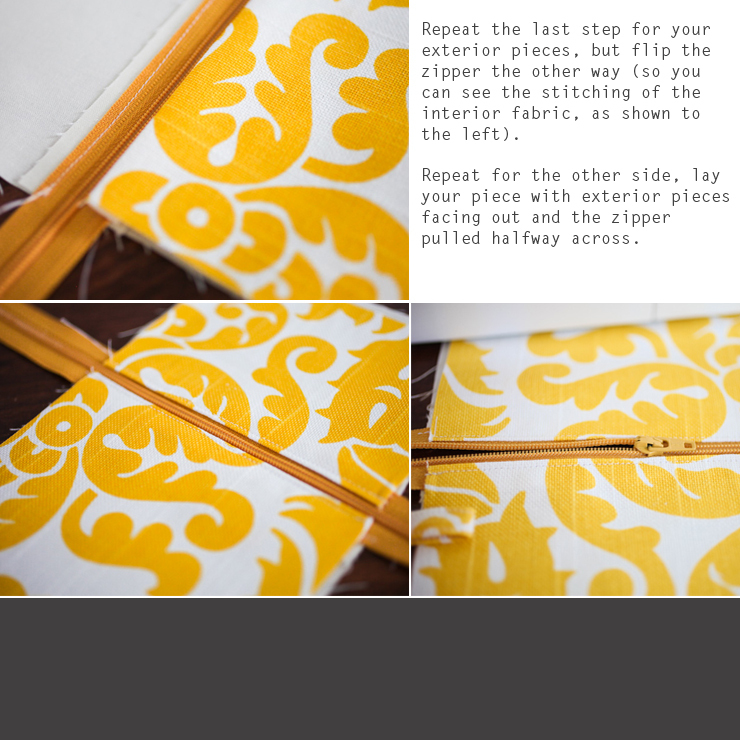 I was having a hard time figuring out the lining/zipper, but your pictures and instructions made it a lot simpler. Thanks so much for the tutorial. I am a beginner (this is my third project) and the pictures and simple instructions made this a really simple project. 2 down and 13 more to go for Christmas gifts! You have helped me save a lot of money! 1. There is a lot of 'extra' material - look and feel - because of the 1/2 inch allowance, any idea how to solve that? 2. 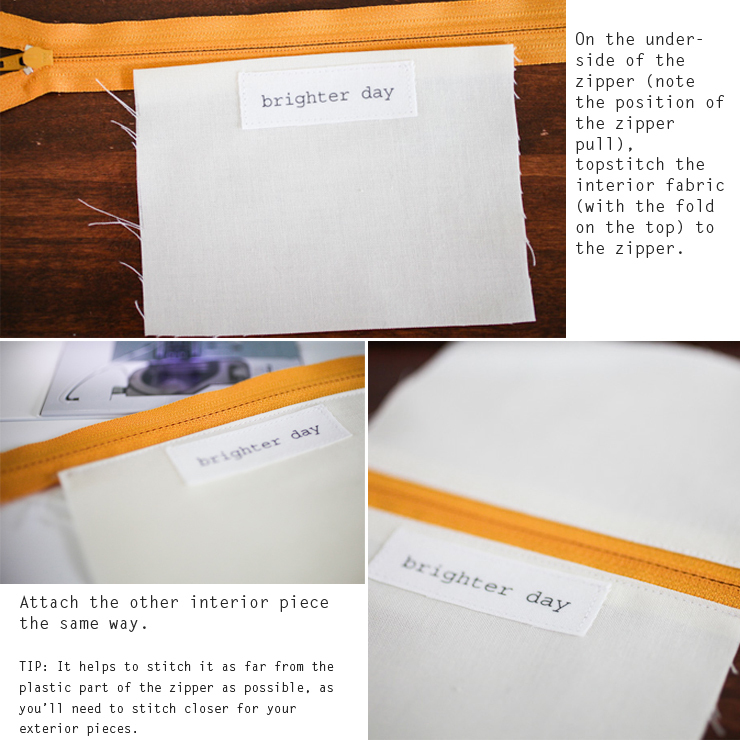 The description does not give me a good idea how to handle the zipper when sewing the together the interior and exterior. Tank you for your clear an precise instructions. It gave me a head start in a project that I thought it was more. Difficult. 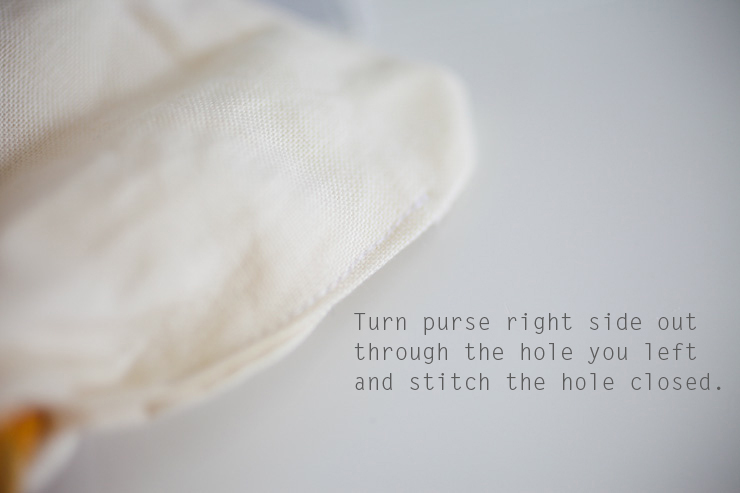 I'm replacing my Coach little purse and making one just like yours with a clear pocket for the driver license . 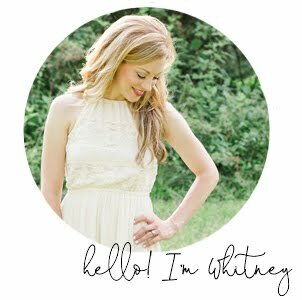 Hi Whitney, I just spotted this on Pinterest - it's gorgeous! 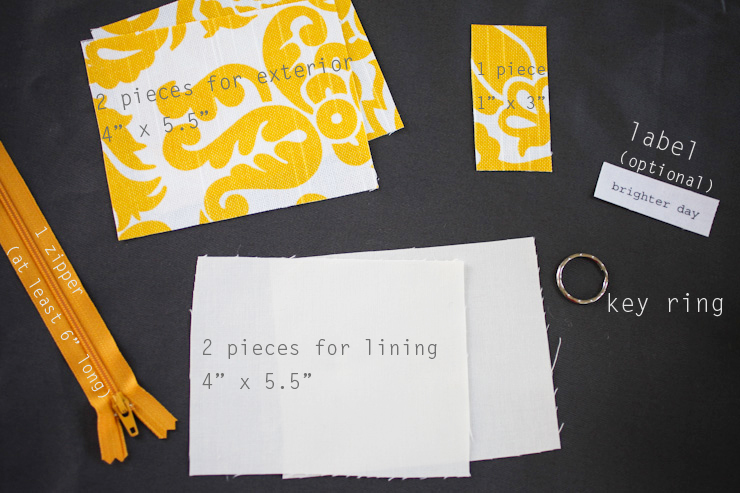 :) What is the yellow and white fabric? I think that it makes the project even better. Very nice tutorial. I've made many zippered pouches and I'm always looking for better techniques. Your tutorial includes nice extra detail. Thanks! the Facetime for PC, Windows XP before going to download iFacetimeapp.com Facetime is not readily available for windows as well as android.